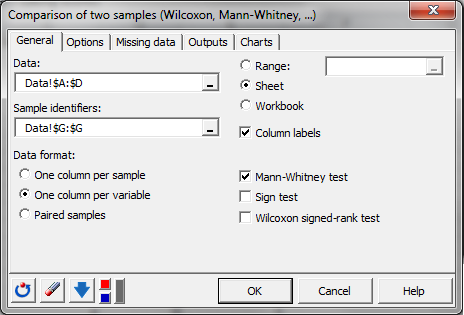 The Mann-Whitney non-parametric test compares the ranks of two independent samples. Run it in Excel using the XLSTAT add-on statistical software. 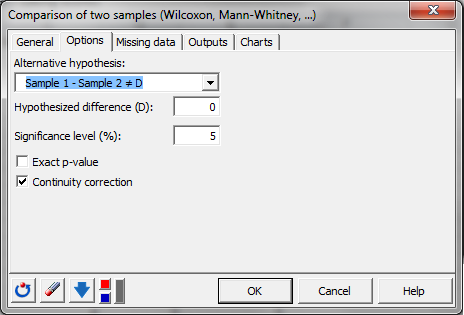 Non parametric tests on two independent sample are used to compare the distribution of two independent samples. Non-parametric tests have been put forward in order to get round the assumption that a sample is normally distributed, required for using the parametric tests (z test, Student's t test, Fisher's F test, Levene's test and Bartlett's test). 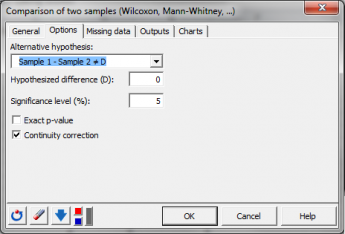 Use the Mann-Whitney test to determine if the samples come from a single population or from two different populations meaning that the two samples may be considered identical or not. This test is based on on the ranks. XLSTAT can perform a two-tailed or a one-tailed test. 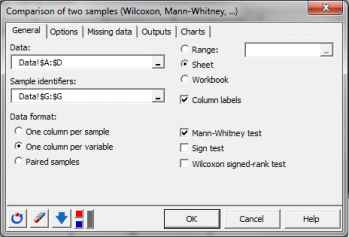 This test is often called the Mann-Whitney test, sometimes the Wilcoxon-Mann-Whitney test or the Wilcoxon Rank-Sum test.